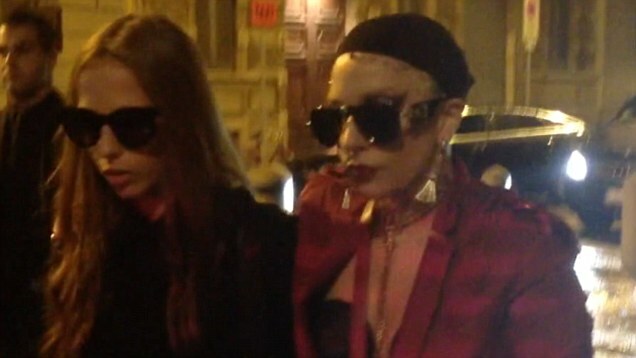 Lady Gaga was nearly unrecognisable during a bike ride in Spain on Wednesday as she put on a low key sartorial display. 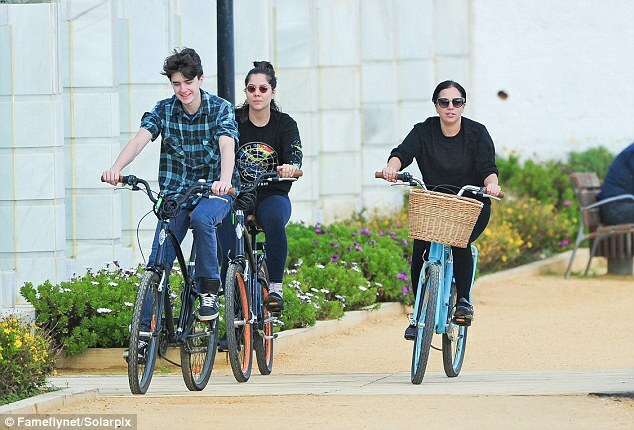 The Applause hitmaker was seen cycling through Marbella as she enjoyed a rare day off from her artRave world tour. The 28-year-old showed off her healthy figure in a black crop top and leggings as she enjoyed a leisurely bike ride in the sunny travel destination. She seemed to have gone make-up free for her afternoon exercise while she opted not to don a wig as she has been in recent outings. The starlet did keep her locks off her face by sweeping it back into simple bun while she shielded her eyes with silver rimmed shades. The singer seemed reluctant to leave Spain as she went on to post a series of pictures on Instagram. One snap was captioned: ‘Goodbye Marbella, your beautiful oceans sunshines and friendliness have rejuvenated me and Asia’. Meanwhile, the star recently discussed her relationship with 33-year-old boyfriend Taylor Kinney, explaining how much she treasures his continued support of her career. While the world is fascinated by her outlandish attire and stage performances, Gaga admitted that her boyfriend is able to see past it all.